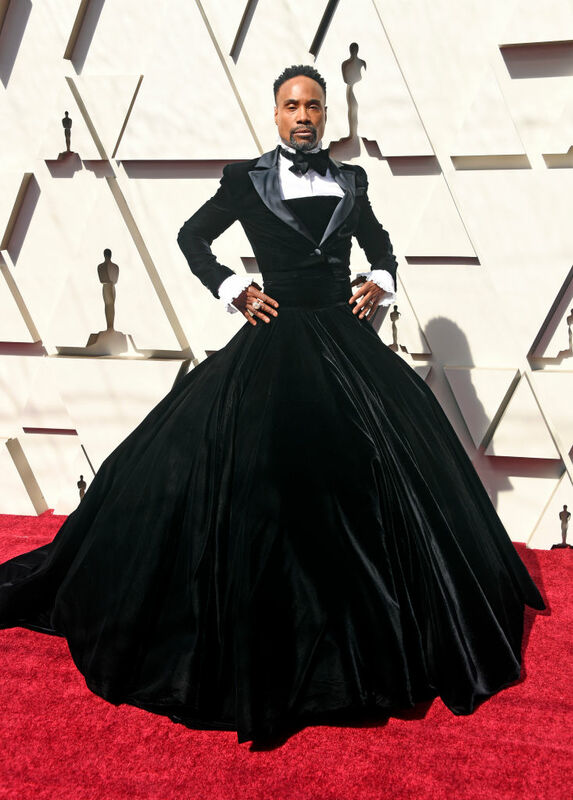 At last weekend’s Oscar’s, we witnessed the pinnacle of actor-singer Billy Porter’s style evolution. 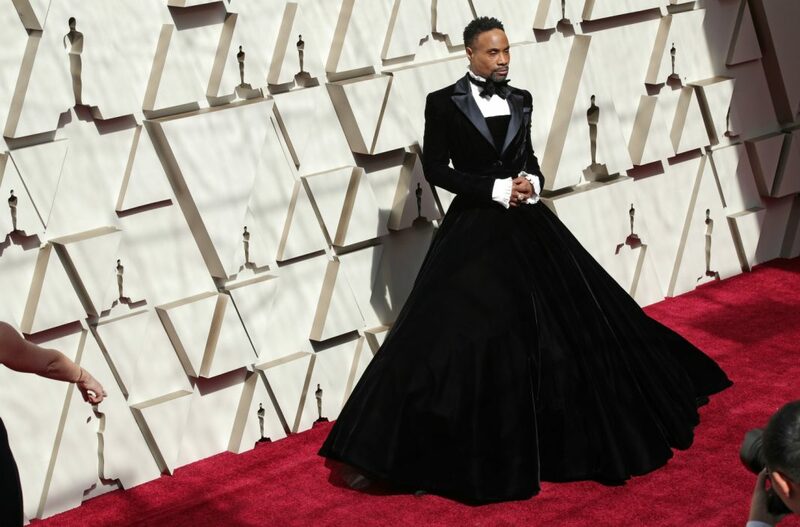 He arrived in a custom tuxedo-ball gown hybrid with a cummerbund bustier designed by Christian Siriano. 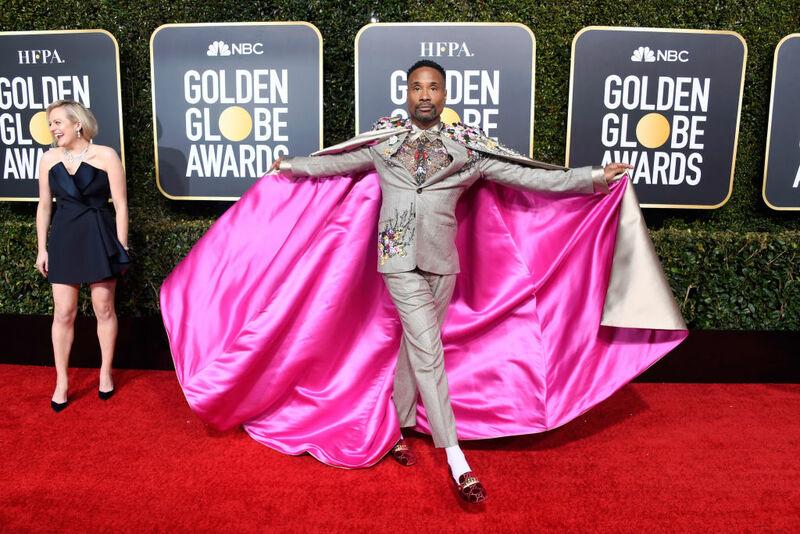 The Tony winner, who stars in the FX musical drama Pose, is as fabulous IRL as he is on screen. 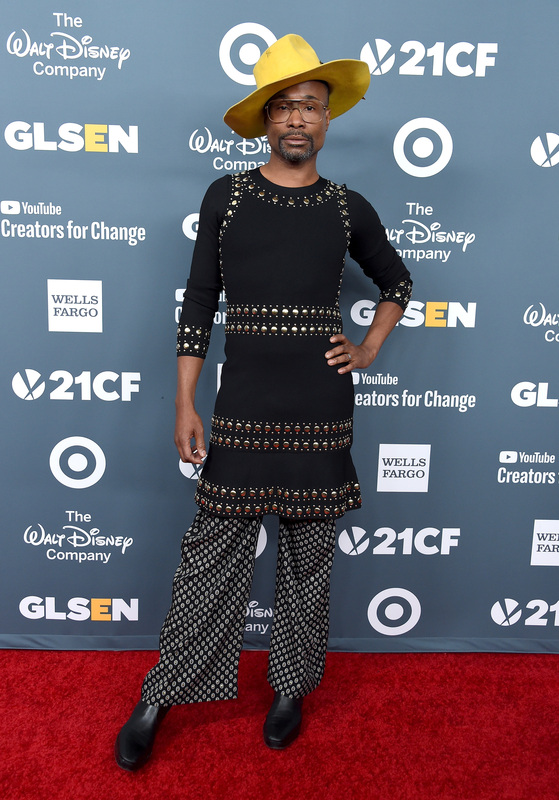 “One of the things I’ve realized is that I’ve always had a gender-fluid sensibility with clothes, and it was so squashed by homophobia,” Porter recently told The New York Times. He also admitted that he’s had a hard time getting designers to lend him both men’s and women’s pieces. 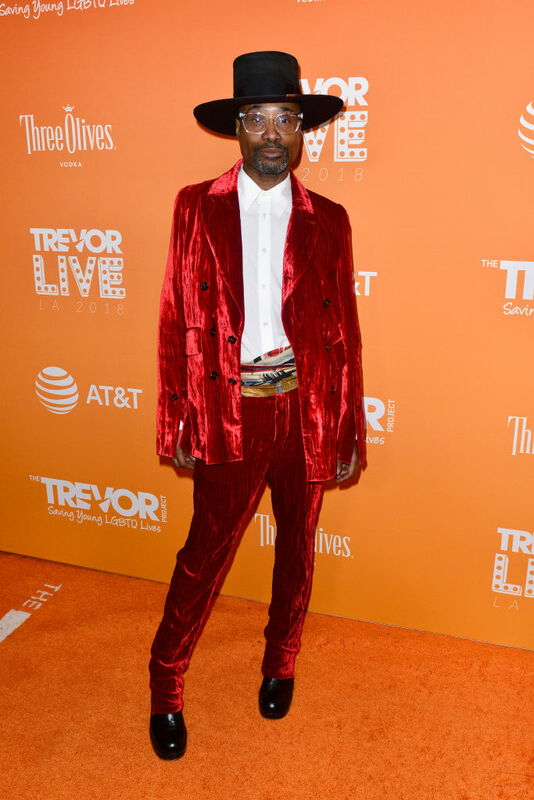 Take a look at some of the red carpet highlights that made him the icon he is today. 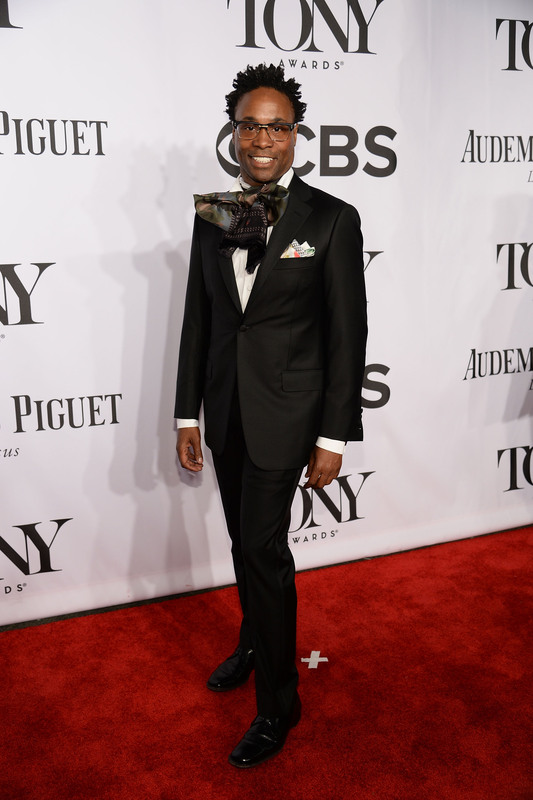 Here, Porter is rather low key, adding a one dramatic element—a foppish cravat—to his uncharacteristic black suit. A fan of wide brim hats, Porter rocks a yellow one at this award show with a dress that looks like something Cersei Lannister might wear in Game of Thrones. Porter pairs it with printed silk pants. 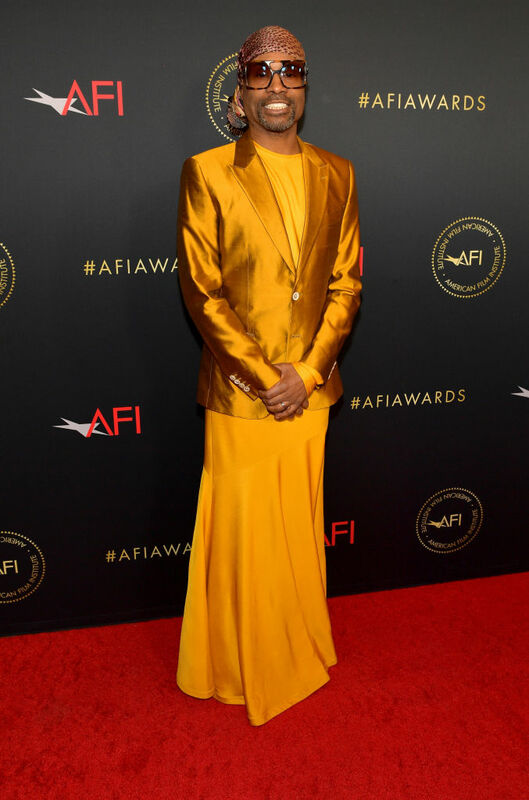 Gold floor-length silk dress cut on the bias with a matching silk shantung blazer, black boots, and silk headscarf. Porter reached out to Project Runway alum Christian Siriano because he knew of the designers work with celebrities who aren’t sample size 0. When Leslie Jones couldn’t find a designer to dress her for the Ghostbusters premiere, Siriano stepped in and designed a custom piece for her. Siriano has dressed Christina Hendricks, Laverne Cox, and Whoopi Goldberg (along with Emily Blunt, Lady Gaga, and Rihanna). 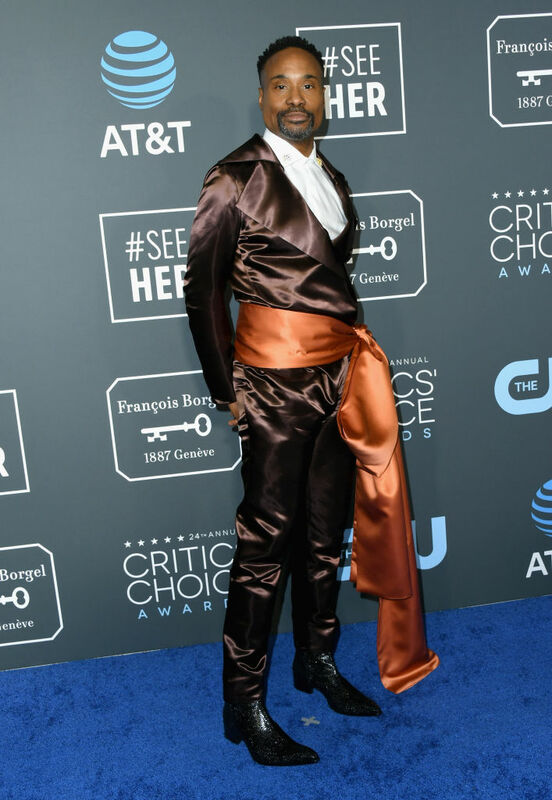 Siriano jumped at the chance to give Porter the gown of his dreams, of which Porter paired with six-inch chunky Rick Owens boots and Oscar Heyman fine jewelry (Porter is fan of the NYC-based jewelry designer’s brooches).